Welcome to the August 2013 Carnival of Children’s Literature! A big thanks to all the kidlit experts that contributed to this month’s carnival. Hope you enjoy reading the wonderful collection of posts. Be sure to check-in at next month’s carnival at Stacking Books. Summer travels may be over but exploring new countries doesn’t have to. 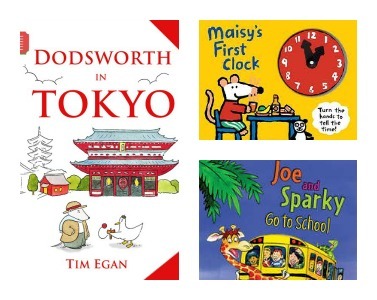 Reshama at Stacking Books reviews Dodsworth in Tokyo, the latest in the early readers series about two travelers about Dodsworth and his accident prone pet duck. She says “We loved this series because each book takes us to a new city and a new adventure.” Previous travels include New York, Paris, and Rome. Want to learn about Australia mammals and read in that Aussie voice? Check-out Susan from The Book Chook‘s round-up of Australian themed posts. Learn about wombats, koalas, possums … and find out what a mozzie is. Next we have two books for kids getting back to school and learning. Erik from Kid Books Rating recommends Maisy’s First Clock. He says it’s “for any parents looking to teach their kids how to tell time on a traditional clock, this is a good start …” The book has movable hands too! 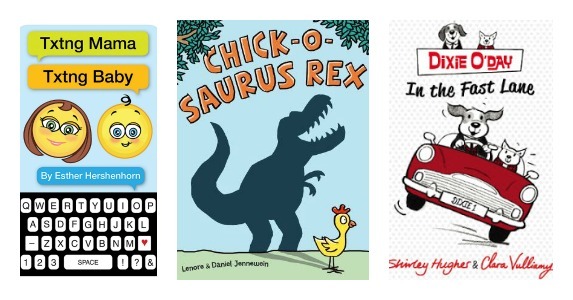 Here at Flowering Minds, I reviewed Chick-o-Saurus Rex. A book with heart and comical, colorful illustrations sure to delight any child who thinks he isn’t big enough to be strong and brave. Zoe from Playing By the Book has a fun interview with mother-daughter/author-illustrator team Shirley Hughes and Claire Vulliamy on the launch of their new series for independent readers ages 6-8. Dixie O-Day: In the Fast Lane is the first book. Kerry from Picture Books & Pirouettes provides a list of her latest round-up of dance and movement themed books. Brenda from proseandkahn reviews MG novel Texting the Underworld, a story involving a banshee and a scaredy cat middle-school aged boy, Conner. Brenda says it is a book that will make you laugh and cry at the same time. The book weaves in death mythology of a variety of cultures, as well as Irish myth/ folklore. Alex from Randomly Reading reviews Nasreddine, a retelling of an old Turkish folktale with a moral that still holds true in today’s world. Margo from The Fourth Musketeer reviews Flora & Ulysses which she calls a “genre-busting story” about a lonely 10yr girl named Flora, a squirrel, and the neighbor’s vacuum cleaner named Ulysses. Seems like an eclectic bunch of characters and I cannot wait to read it and see how Newberry Award winner Kate DiCamillo weaves it all together. Margo also reviews Elvis and the Underdogs a hilarious story about Benji and his therapy dog, Elvis, whose whines and barks sound like English. She recommends the book for middle-grader readers and as a read-aloud. Lisa from Shelf-Employed reviews the audiobook version of Three Times Lucky, a 2013 Newberry Honor Award Book. She says “despite some heavy-hitting themes, this modern-day, first person narrative is not contemporary realistic fiction, but rather a delightfully funny, quirky murder mystery, and the story of a loving family, best friends, and a close-knit community. And oh yes, there’s a hurricane.” Sounds like a thrill-ride of a story. She also has a link to an audio excerpt of the book. Good for ages 10 and up. Becky from Tapestry of Words has a review by a 5th grader on his favorite book The Million Dollar Throw. 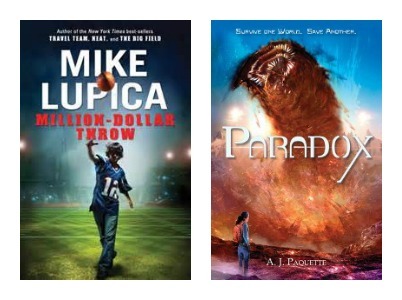 Natalie from Biblio Links has an interview with author Ammi-Joan Paquette, who shares ways that her new sci-fi young adult novel, Paradox, can be used with kids by teachers and librarians. LH Johnson from did you ever stop to think and forget again? read several pieces discussing the nature of female characters in children’s literature, and discovered the startling truth about Anne from Enid Blyton’s Famous Five. Anastasia from Booktalking says Stripes of All Types is a book that combines science and poetry! Melissa from Here in the Bonny Glen while reading a series of Esquire posts on the Battle of Gettysburg found a surprising reference to her favorite Maud Hart Lovelace book Emily of Deep Valley. 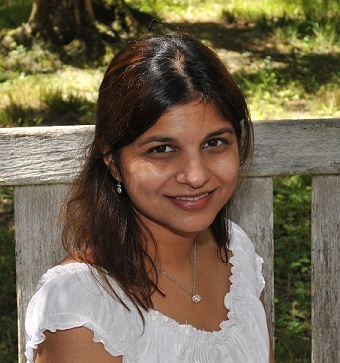 Thanks for hosting the carnival this month, Darshana! It looks great! You’ve shared some really excellent picture books and middle grade books. Have my eye on at least three or four. Loved your review of Chick-o-Saurus Rex. Thanks Pat. Glad you enjoyed the post. Thanks for hosting Darshana – looks lovely, and is packed with goodness. Thanks for hosting the carnival, Darshana, and for including the link to the post written by my co-blogger Esther about her new book. Looks as though it may be a good lead-in to TEXTING THE UNDERWORLD. 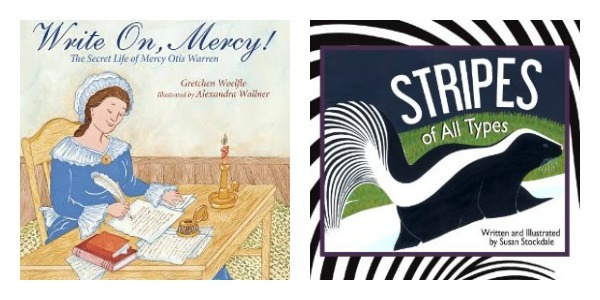 🙂 I, too, an looking forward to reading FLORA AND ULYSSES, which I was lucky enough to get an ARC of at ALA. And I highly recommend my good friend Gretchen Woelfle’s WRITE ON MERCY! Belated thanks for hosting this month. You did such a great job, it lools wonderful. Thanks for hosting Darshana. Just looking at the links now. Well done post! Oops, I missed the deadline! Busy summer I guess. Thanks for hosting. Off to check out the links, now!